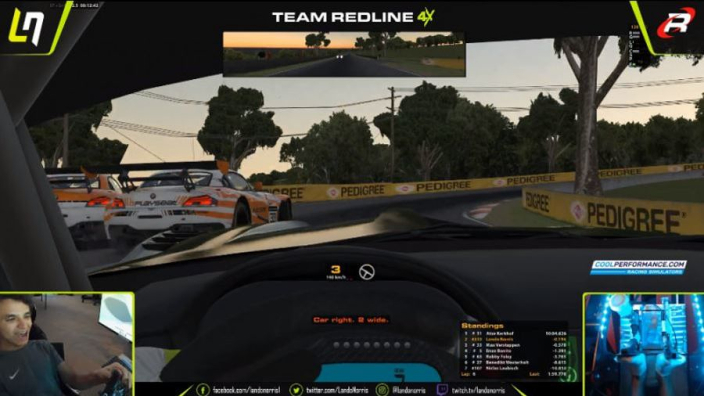 Formula 1 stars Max Verstappen and Lando Norris were the star attractions of iRacing's Bathurst 12H race this weekend, but it's fair to say that they ended up making the headlines for pretty different reasons. Their Team Redline squad failed to finish the race after a couple of eye-popping crashes on the race sim. Verstappen managed just a single lap for Team Redline 4K, while Norris was at the wheel for probably the craziest crash. With any hopes of the race over and done with, Norris decided to make his own entertainment, throwing the feedback up to 11 and seeing how it went.